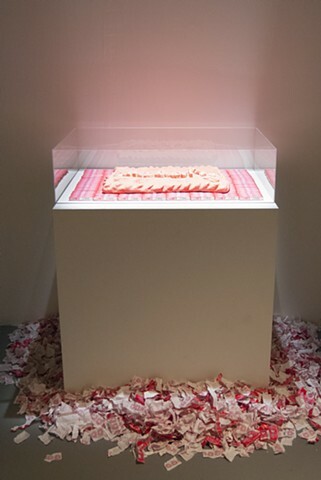 A 60 minute performance action in which we take between 1200-1500 pieces of gum and combine them (kneading/wrestling/stomping/stretching etc.) into a single mass from which we sculpt a welcome mat. Then we stand on it.